Islam is a religion where women are supposed to cover their bodies in a good manner that depicts the beauty of true women. While covering of body is said to be an essential, there also comes the covering of the head. Now as Muslim women it is our duty to follow the teachings of our religion to become a true follower and also it is noticed that women with abaya and hijab are treated with more respect. The trend of wearing abaya is adapted in most of the Islamic countries, in fact in some Arabic countries like Saudi Arabia Abayas are known as the must have for women. We see women of Arabic countries like Saudi Arabia, Dubai, Egypt, and Iraq, etc. 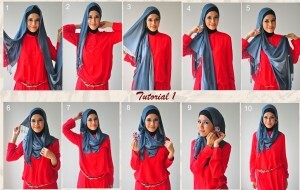 have a great way of wearing hijabs, and they look so pretty even while covering their head and body. That is the reason Arabic hijab styles are so famous, and women from the countries like Pakistan tend to adapt their way of wrapping hijabs. 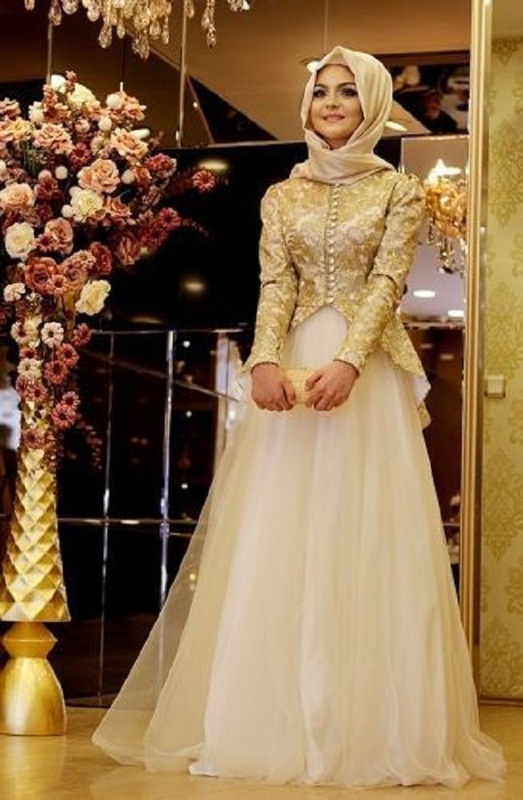 Here we are sharing the Latest Fancy Party Wear Formal Hijabs Abaya Collection 2018-2019. For daily routines, we go for casual designs but for formal events, parties and gatherings a fancy and formal abaya & hijab is best to choose. Initially, there were simple abaya’s and hijabs but by the time a huge variety of hijabs were introduced for women as so to fulfil a women’s need of sophistication too. Yeah, some people have the narrow vision of the girls with the abaya, so there are chances that one might think of herself less stylish and chic. But no need to worry anymore, because where clothing is getting sophisticated day by day, abayas also are. Other than black, there also are other colors that are being preferred these days including brown, grey and some others. There is also a trend of contrasts introduced among abaya, white piece of cloth patches are stitched with black, similarly contrasts lining is highly liked by the consumers. Latest Fancy Party Wear Formal Hijabs Abaya Collection is full of colorful and embroidered designs. Party Wear Hijabs & Abayas Collection consists of fancy and embroidered designs of lace work, butterfly style abayas, fishtail, maxi style long gowns and long floor length umbrella designs. Now there comes a thing with women who wear abaya and hijab’s in their daily routine; they want formal wear abaya and hijab too. So, the problem has been sorted out because many fancy ones are introduced now especially for wearing at parties. Embroideries are made in the different regions of abaya, as it is like a dress, so many new cuts and amendments are made in it. Hijabs especially are mind blowing in this new attire. These abayas & hijabs are best to wear as party wear, events, get-to-gathers, etc. Do a perfect Arabic makeover and enhance your look with fancy head covering, you will become the centre of attention and look prettier than others. Furthermore, following is the attire of various hijabs and abaya collection perfect for wearing at any party.